Music calligraphy (mixed art of calligraphy and western/eastern music). 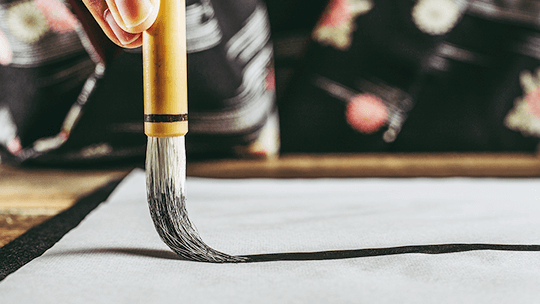 The beginning of Japanese calligraphy dates back to the Yayoi period when Chinese characters came to Japan from China.In 552, with the introduction of Buddhism, transcription of the sutra began and developed widely.Originally, the purpose of calligraphy was to be able to write beautiful letters for common purposes. However, people gradually started to express the unique beauty that resides in each letter which matured into an art of what we see in calligraphy today. 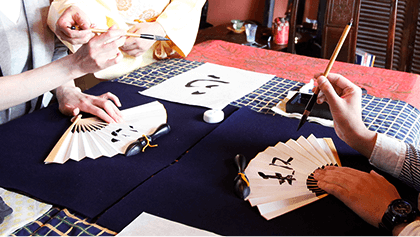 At Motenas Japan, you can enjoy a new entertainment of calligraphy art that mixes music and traditional calligraphy. 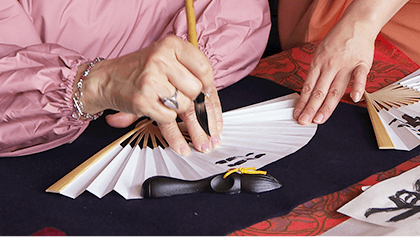 It is a calligraphy performance that you can enjoy with your eyes and ears; a harmony of the sound and visual of the Western or Eastern instruments and calligraphy. Be indulged in the new form of art that blends Japanese and Western styles. 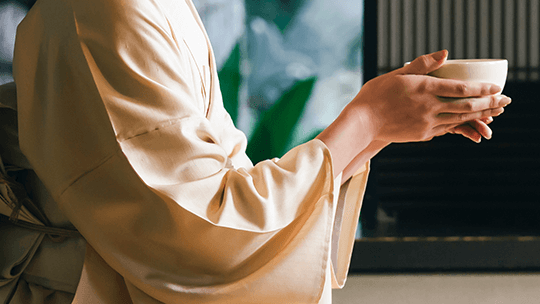 Tea ceremony, flower arrangement, and calligraphy; feel the spirit of Japan through traditional cultural experiences.Special moments spent dressed in a kimono will ease the mind. 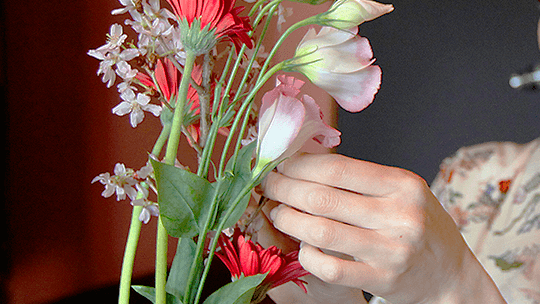 born from the spirit of welcoming guests with your utmost hospitality. that fosters the heart of respecting nature. that polishes one's sense through writing letters correctly. These are Japanese arts popular even with foreigners.In this plan, you can experience these traditional Japanese culture wearing a kimono. All the lecturers arranged by Motenas Japan are professionals and masters of that world. Many are specialists whom you cannot learn from in a regular setting. This plan has received favorable remarks from not only the guests from abroad but also guests from Japan. 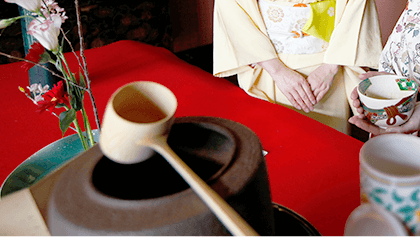 * Guests will be selecting one course from the three: tea ceremony, flower arrangement, or calligraphy.